- 2 BR, 2 BA, Sleeps 5. There are many condos to choose from for your vacation needs. How do you choose? First you have to decide what amenities are important to you because everyone has a different idea of luxury. If you are looking for a condo that has everything you need (so you don't have to bring a lot with you), that offers a secure place to vacation, that is kept up to date and clean, and that has a great view, then you have come to the right place. With 55 acres in our gated community you have many amenities that other places can't offer. We have nine tennis courts in their own beautiful location by the bay (instead of on a garage rooftop) that offer many opportunities for organized play. We also have a dedicated room for socials where you can join others in card games or social gatherings, beautifully landscaped grounds, and the section of beach most popular for shelling, walking, and which is a natural habitat for the local wildlife. We live the New England area. We have two children and two beautiful granddaughters. We don’t get to Marco nearly as often as we would like to, but hope that in the future we will be able to spend more time there. We enjoy walking the beach, shelling, watching the birds and sea life, and have had the incredible experience of having a dolphin join us for a swim. We have been vacationing in Marco since 1991. We fell in love with South Seas and Marco Island while visiting friends who owned a condo in the South Seas Club. After that visit we came back three months later and bought our first condo. Still in love with the Island and South Seas Club, five years later we bought a second condo. We love the location of South Seas as it is close to stores, restaurants and the newer areas of the Island such as the Esplanade, Veteran's Park, and all the ice cream establishments on the Island. A very important amenity for my family. It is also closer to the bridge that takes you off the Island. Marco is a true paradise, whether it is sitting on the balcony enjoying the beach view or eating at one of the fine restaurants or enjoying one of the many activities both on the water and on land, you will fall in love with Marco. Our condo is direct beachfront. Our condo is located on Marco Beach. It is about a 7 min walk to the water's edge from the footbridge over the dunes. Gulf of Mexico is right outside. Outside parking in front of the condos. Parking on top of the garage or inside the garage. One car per condo may be parked inside the garage. All others outside. Covered garage with parking inside or outside on the top level. Also outdoor parking at front entrance. Comfortable living room includes new 55" HDTV with Blue Ray DVD and DVR and new fiber optics resolution. Both bedrooms also have HDTV's on the wall. 32' in Master and 28' in guest bedrooms. Abundant supply of dishes, cups, glasses, cutlery and children's cups. You don't have to wash every time you have a meal. 22' Balcony with a long view of the beach. Boat rentals and excursions available on the Island. This is the second year that we have rented from Lorraine. Great view f the ocean and the pool is great also! Marco Island is located in the area of the southwest Gulf known as the Paradise Coast. It is just north of the Everglades and just south of Naples. Because of Marco's location, it offers not only many opportunities for activities locally, but access to all the amenities that Naples and the Everglades have to offer. The Marco area is loaded with opportunities for water sports, night life, zoos, museums, and water parks. It's also a rich source of live entertainment including comedy clubs, amateur and professional theater, and an assortment of night clubs and music. The natural habitat right outside your window is a wonder to behold. Take guided nature walks on the beach and learn about the shells, birds, turtles and other creatures that live there. You may prefer to just kick back and relax. 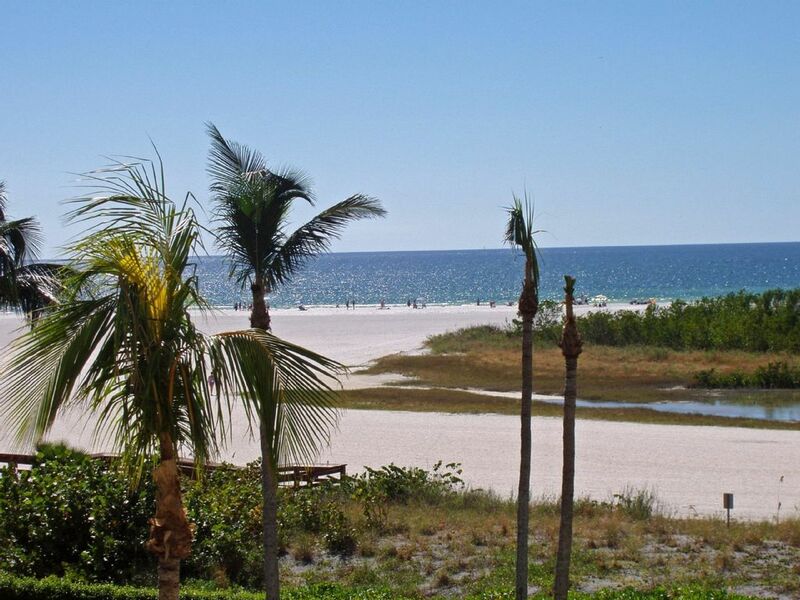 What better place to do it from than one of our condos in Marco Island.